Since its redesign, the Mazda Miata has been known for its style, and its exuberant, fun driving dynamics. Since the RF model was added to the lineup, it was even known for an interesting, targa-style retractable roof. However, one thing that doesn’t really get said about the MX-5 is that is has a ton of power. Instead, the new Miata has relied on a much-lightened body and careful design to produce its trademark drivability on just 155 hp. 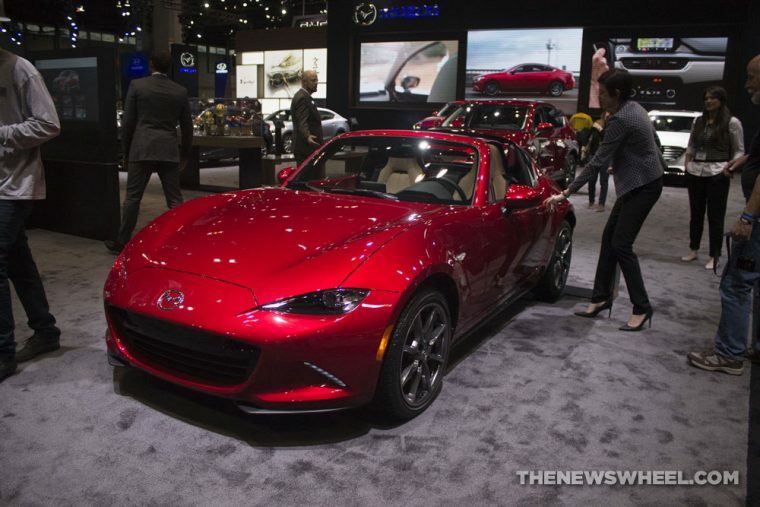 Now, though, it seems that the power can soon drop that “just” qualifier, as according to National Highway Traffic and Safety Administration documents acquired by Road & Track, next model year the Miata’s engine could push out 181 hp, instead. To those used to the hundreds and hundreds of horses associated with other sports cars like the Corvette or Challenger, this may not seem like much, but to a vehicle that weighs under 2,500 pounds, even with the addition of the hard top and a heavier automatic transmission, that power increase (which is 17% more, by the way, or a little under a fifth more) is plenty. The document, by the way, was about VIN code information for the 2019 MX-5, on which it says that the engine is a 2.0-liter four-cylinder gas engine producing 181 net brake horsepower. This extra power is conjectured to come from improvements on the existing engine, rather than the substitution of a new engine like the SKYACTIV-X. As for official word, though, of course Mazda has offered their usual comment, which is that they can’t comment on future products. So, we will just have to keep a look out for the 2019 MX-5 Miata when it comes, and be watching for that extra bit of oomph under the hood.